While all the components of these little cream pies can be prepared in advance, wait to assemble them until you are ready to serve them. Any flavor of ice cream sauce can be used instead of my butterscotch.. Try chocolate or walnut for something different. 1. Prepare one recipe of Smooth and Creamy Fresh Banana Pudding. Chill. 2. Prepare one recipe of Butterscotch Sauce and set aside. If you prefer, substitute store bought ice cream sauce, any flavor. 3. Prepare 1/2 recipe of Cream Puff Shells (or make the whole recipe and save half for something else). When cool, place two puffs on each of eight plates Trim a small slice off the top of each puff. 4. 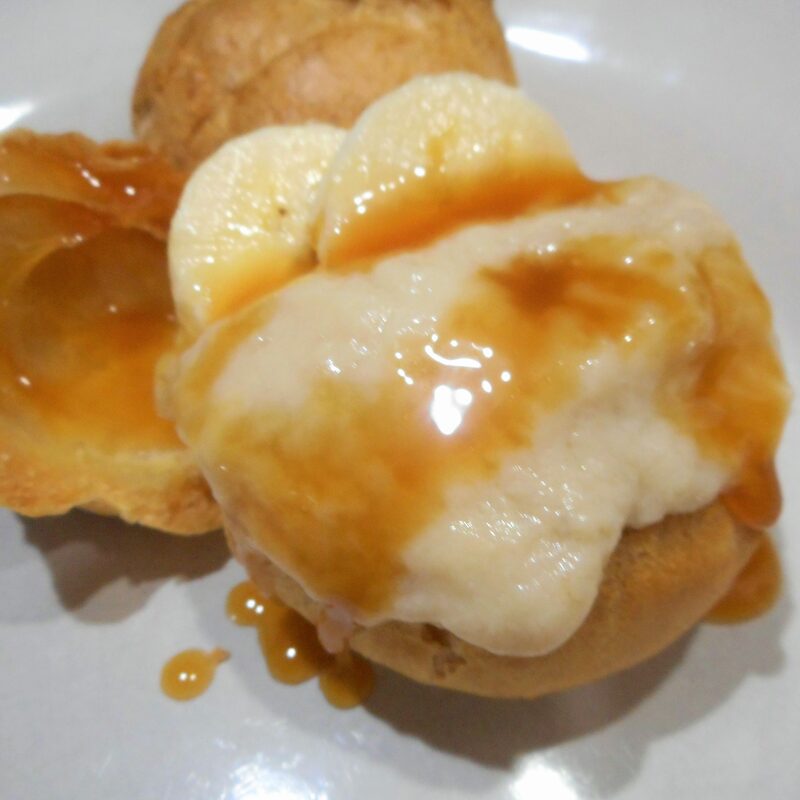 Fill each puff with the pudding and top with sliced banana, then drizzle the butterscotch sauce over all.